Think the burgers at McDonalds or Burger King are the nastiest burgers out there? 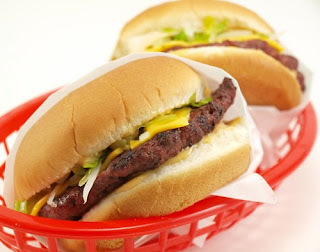 Do you avoid fast food restaurants believing their options are the worse for your diet than other restaurants? Maybe you sometimes choose a veggie burger over a traditional beef burger because you believe it's better for you and your waistline? Well think again. Men's Health recently released a list of The Worst Burgers in America, and surprisingly, not all of them come from fast food joints. One of them is a veggie burger and if you consumed it, you would be consuming half a day's worth of calories and 53 grams of fat in one sitting. 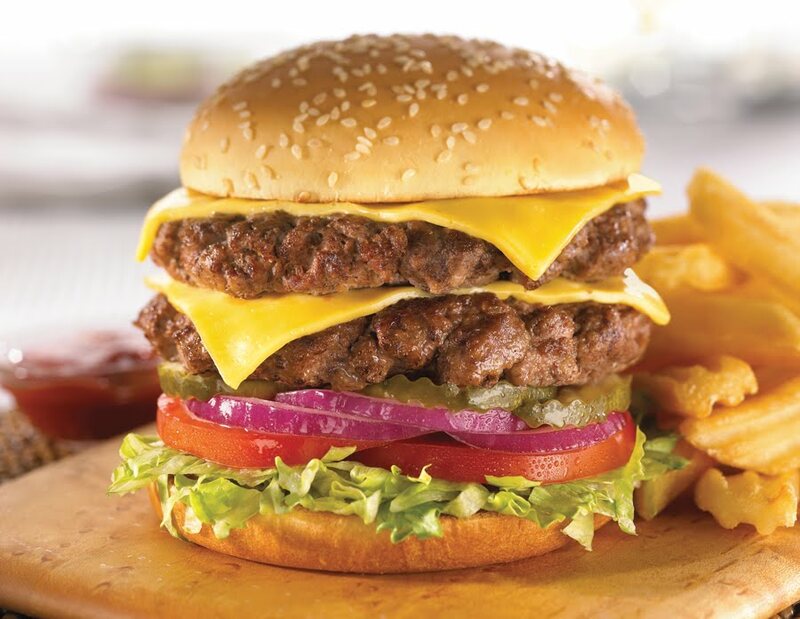 Who doesn't love the occasional burger? There is just something about all the juices running down your arms as you bite into all that meaty goodness that just makes you think of childhood and long weekends. But not all burgers are created equal, and if are going to consume one, it seems logical to know which ones will see you satisfy your craving without sending you to join weight watchers and spending hours on the treadmill just to burn it off. 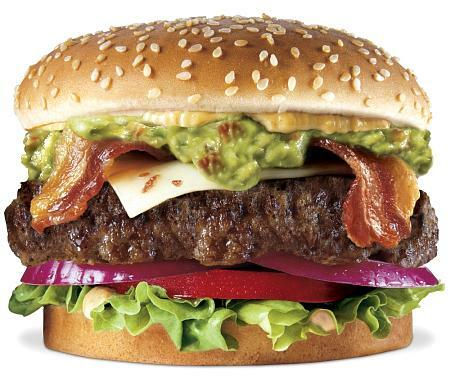 The burgers below have been identified as the worst available, and by munching on just one of these nasty critters and you can kiss your summer swimsuit goodbye as it will turn your torso from slick and slender to swampy and swollen in no time. Think the veggie burger is always the healthier option on the menu? Think again. Ruby Tuesday takes this to a new level by packing in more calories than two Big Macs and more fat than four Chocolate Triple Thick Shakes. 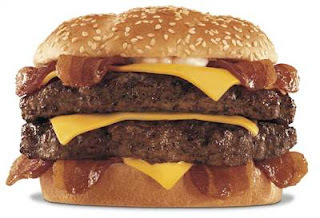 Not only will consuming this Bacon burger from Carls Jr. see you consume more saturated fat than six glazed donuts, but the day's worth of sodium will make your blood pressure skyrocket off the charts and see you wake up the following morning bloated and puffy from all the water retention. Just looking at this monstrosity and my arteries start to pulsate with fear. 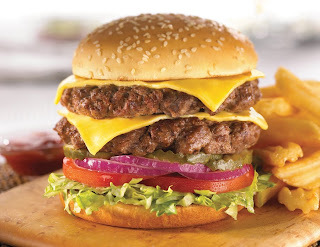 The word "triple" is never good news when it comes to food and consuming this is the caloric equivalent to chugging back eight bottles of beer, and the fat equivalent of over 10 fried KFC Chicken Wings. 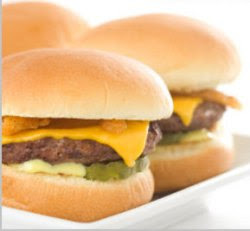 People choose mini burgers, or sliders, because being small they couldn't possibly have that many calories right? Wrong. Ruby Tuesday does it again with these four little heart attacks making up over half a days worth of calories in one sitting. It would be the same as eating four Dairy Queen Chocolate Sundaes or six Hersey Chocolate Bars. Would you ever consider drinking half a cup of oil? 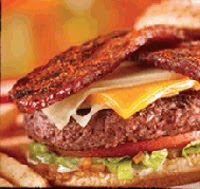 Well that's the amount of fat you would be consuming if you passed through Hardee's drive thru and purchased this burger. 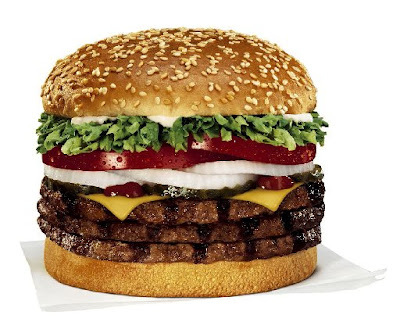 Couple that with the huge amount of calories and more than a day's worth of sodium, and this burger won't be the only "monster" if you eat it. You have heard me talk about the evils of salt before. Not only does it leave you puffy and bloated, but it courses through your veins, shredding your arterial walls and causes your blood pressure and cholesterol to rise. Spend lots of money on expensive wrinkle creams? Well research shows that excess amounts of sodium is a major cause of premature aging. You would think that trans fats would have been removed from all menu items by most restaurants by now, and most of them are, but there are still some that haven't removed it yet and it is still sneaking itself into your burgers and meals. Not only that but Men's Health has identified it contains more saturated fat than 52 strips of bacon. Yuck. 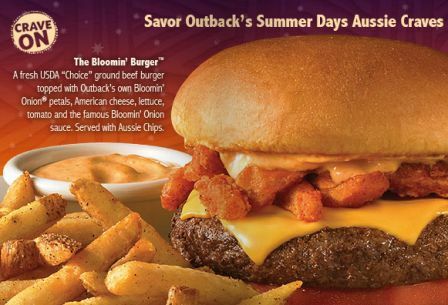 Being from Australia, whenever the commercials for The Outback Steakhouse come on I cringe and my skins crawls from the over stereotyped accent on the voiceover and the thought that such an unhealthy place to eat is associated with my home country. And the winner goes to Chilis! Take a look at this...thing. Everything that could be bad for you; loads of calories, huge amounts of saturated fat, and nearly two days worth of sodium are thrown into this abomination. It has more saturated fat than fifteen large orders of McDonalds french fries and more calories than nineteen sticks of cotton candy. Another thing to note, is that none of the statistics above include fries or soda. Throw those in along with your meal and may as well take your pants to your tailor to take them out as a preemptive strike. So there you have it. The Worst Burgers in America. My advice would be to avoid these places altogether, but just as I talked about last week in my post about unhealthy turkey burgers, if you are on a fat loss diet, or just watching what you eat for health reasons, it's important that you research the caloric content of what you eat, or otherwise you will be avoiding those short shorts this summer. 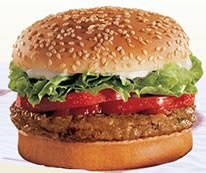 For a healthy turkey burger recipe, click here. Disgusting...I'm all for an occasional burger, but adding all the extras that make it a full days calories and more than one day's fat just makes me sick to my stomach (especially when you know that the majority of America is hitting these more than "once-in-awhile".